A finely engraved, top quality pair of English gunner’s calipers in excellent condition. The style of Dollond signature is typical of the period around 1800, and into the beginning of the 19th century, so this pair date fron the time of the Napoleonic wars. The calipers are designed to measure intenal and external diameters. they also include tables for powder measures for brass motars and brass howitzers, and proof and service tables for both brass and iron guns. The protractor reads to 2 degrees, Sector scales of equal parts are eneraved on each arm (Lin. is an abbreviation for line of lines). 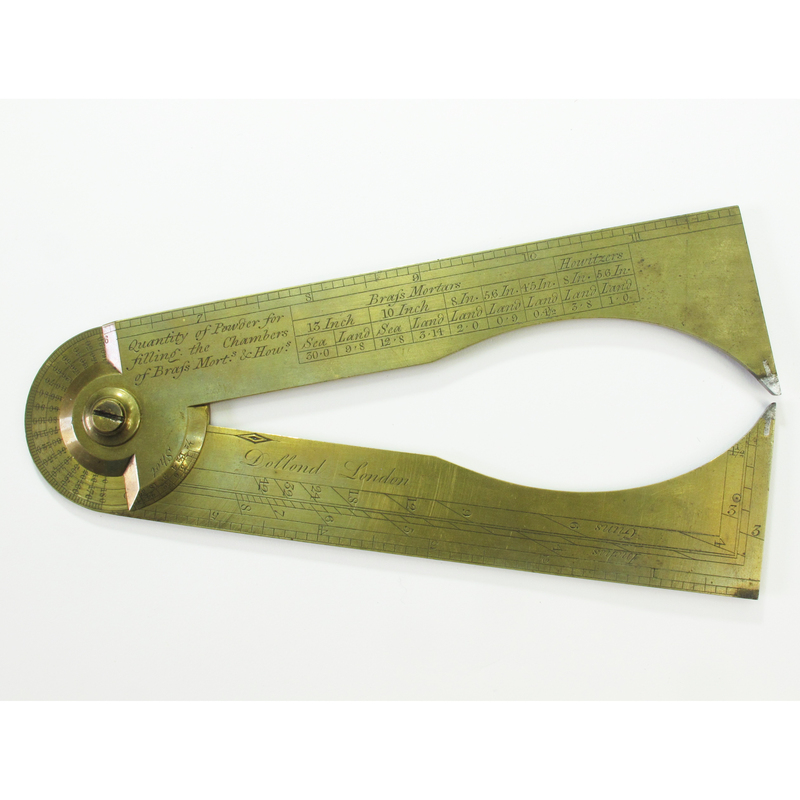 Opened out, the calipers form a 12 inch ruler divided to tenths. construction is brass, with iron caliper tips.